Ralph Macchio is best known as Daniel LaRusso, the title character from The Karate Kid. But before the actor donned Daniel-san's signature white headband for that film's 1986 sequel, The Karate Kid Part II, he appeared in Vermont-based screenwriter/musician John Fusco's breakout debut feature, Crossroads. The coming-of-age drama chronicles a young blues musician (Macchio) who teams up with living legend Willie Brown (Joe Seneca) on a mysterious, musically driven pilgrimage to the South. Fusco went on to pen screenplays for Young Guns, Hildago and Crouching Tiger, Hidden Dragon: Sword of Destiny. He also created the Netflix original series "Marco Polo." But based on his new album, John Fusco and the X-Road Riders, you get a sense that the writer/musician has always kept a special place in his heart for his first baby. That's because Fusco comes full circle here. While writing Crossroads, he worked closely with the legendary record producer Jim Dickinson — as well as slide guitar master Ry Cooder, who wrote the film's score. For X-Road Riders, Fusco enlisted the late Dickinson's son, Cody, as his producer. Cody and his brother Luther Dickinson are seasoned pros best known as the fellas behind the blues-rock outfit North Mississippi Allstars. This album is like a long-awaited, oblique companion piece to the film. Fusco knows the blues-rock genre inside and out. X-Road Riders plays like a highway bingo card of elements you'd expect to hear on such an album: tales of hard living, blazing snarls of harmonica, folksy platitudes, slinky Hammond B-3 organ, gospel-inspired background vocals and countless barbed guitar licks. Though he's a northern lad, born in Connecticut, Fusco summons his inner Southerner throughout. His guttural yowls and soulful crooning occasionally go a bit far into cartoonish, near-parodic territory — though it's hard to imagine any other way a person might sing this kind of music. Standout cuts include the funked-up, brass-heavy "Poutine," an ode to Canada's heavy-AF signature dish. The silly tune adds a bit of novelty to the 10-track album. "A Stone's Throw" is another gem. The "rock" in blues-rock shines a little brighter here, coming off like a long-lost Cream tune. Fusco's satiny backup singers add sultry flair. "Boogie on the Bayou" is a subdued, slow-burning soul-blues thumper. Fusco's emphatic vocals evoke Blood, Sweat & Tears singer David Clayton-Thomas. Fusco's brand of blues-rock might not be for everybody. But the album does highlight how the passion felt by a young creator can stay with him throughout life, only to come to fruition decades later. Fusco's love of the blues, apparent in his first film, has stayed strong for more than 30 years. 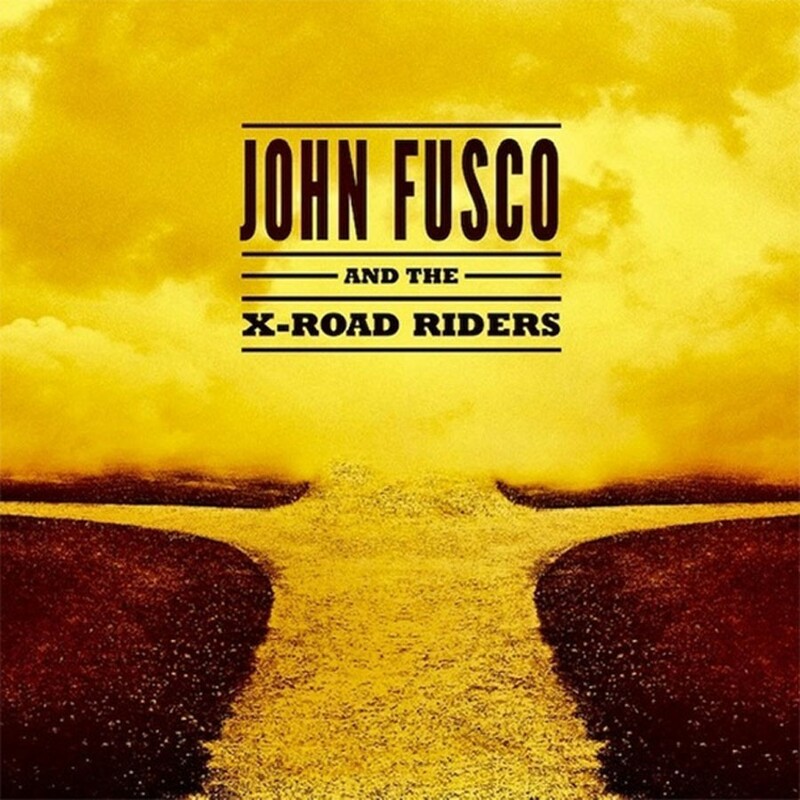 Listen to John Fusco and the X-Road Riders on Spotify.